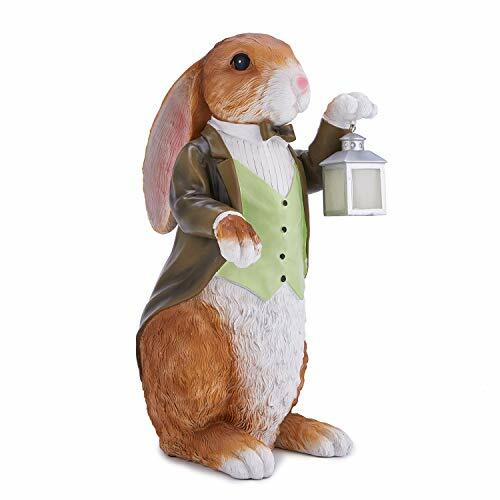 XWAUTO The Rabbit Butler Mr Bunny with Lantern Statue Garden Decor Sculpture Indoor Outdoor Ornament 16” by XWAUTO at List It Fort Worth. Hurry! Limited time offer. Offer valid only while supplies last. Beautiful detailed handcrafted resin figurine/sculpture. Great gift idea for housewarming, birthday and holiday season. Noticeable accent in home, room, garden, patio, office and classroom. Colors may slightly vary from pictures. If you have any questions about this product by XWAUTO, contact us by completing and submitting the form below. If you are looking for a specif part number, please include it with your message.